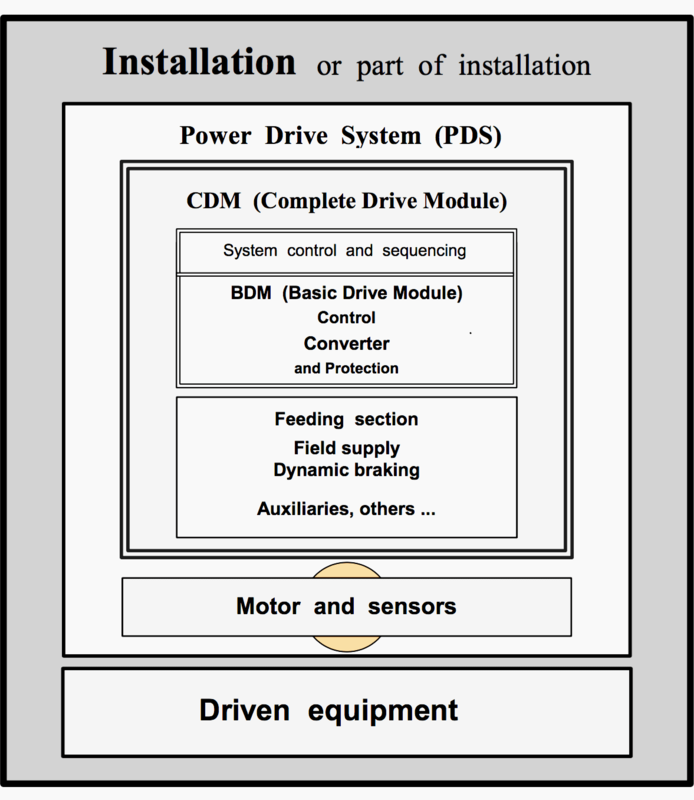 Power drive systems (PDS) are used by a number of various standards. They consist of a Complete Drive Module (CDM) and a motor, together with their interconnections, they do not include driven load. In turn the CDM consists of a Basic Drive Module (BDM) and its possible extensions such as the feeding section or some auxiliaries (for example ventilation). The BDM contains the electronic power converter, control and self-protection functions. Figure 1 shows the boundary between the PDS and the rest of the installation and/or manufacturing process. For the purpose of this guide, the cabling from the supply is also considered, as the selection of suitable cables is often a problem, especially when dedicated feeding transformers are installed. The vast majority of motors sold today are squirrel cage induction motors; they are widely available, robust and efficient. When installed in accordance with the simple guidelines given, they can be used in conjunction with a voltage source PWM drive to give a highly satisfactory variable speed drive system. 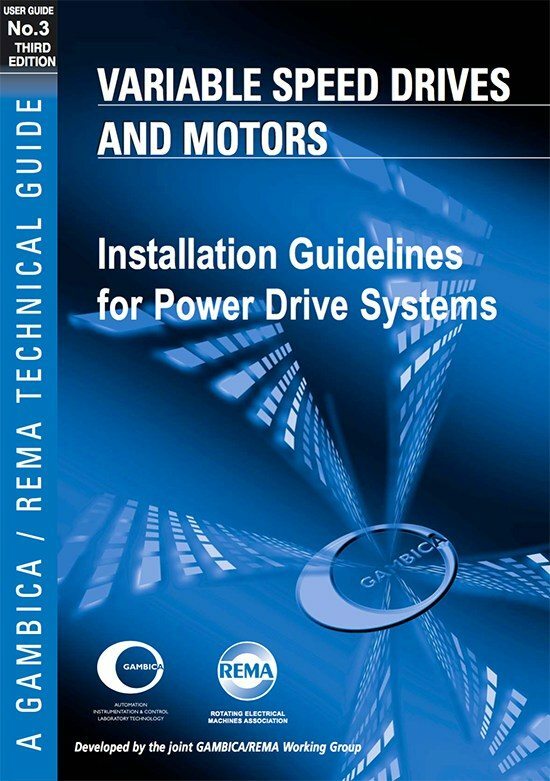 Specific requirements for motors are detailed in GAMBICA/REMA Technical Reports 1 and 2, which discuss winding insulation and bearing currents. Variable speed a.c. drive systems as illustrated below are used in ever-increasing numbers because of their well-known benefits for energy efficiency and flexible control of processes and machinery using low-cost maintenance-free AC motors. Virtually all AC drives use power-switching techniques and generate high rates of change of voltage. Most modern AC drives incorporate a Basic Drive Module based on a voltage-source PWM inverter with very fast-switching power semiconductor devices such as Insulated Gate Bipolar Transistors (IGBT), which have the advantage of being very robust and having relatively low switching losses. The nature of the voltage generated by such an inverter incorporates a certain degree of high frequency “noise”, which can lead to problems with Electromagnetic Compatibility (EMC). The rectifier also presents harmonic currents back to the network, which must be taken into account when designing a system. 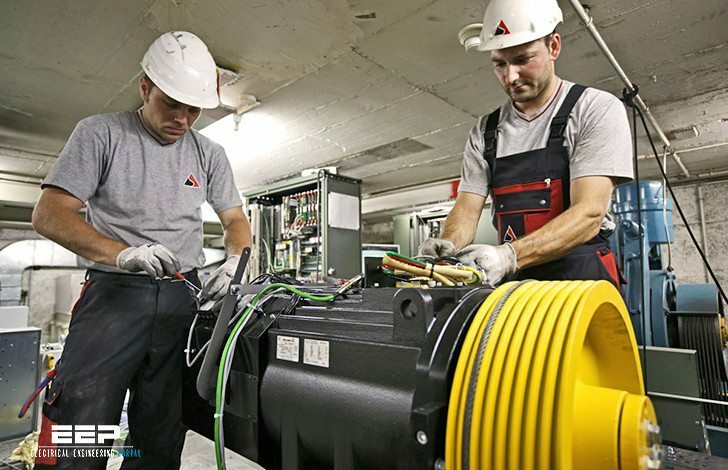 While most power drive systems are fed at low voltage from a supply shared with other equipment, there is occasionally a requirement to utilise a transformer in association with the drive. Cabling is one of the most critical areas of a good installation.